Nestled at the base of Mount Timpanogos, The Mt. 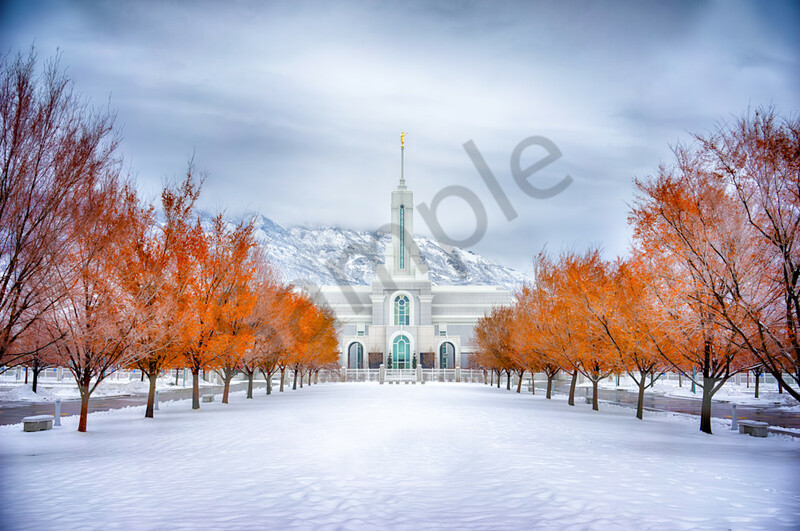 Timp LDS Temple stands right at the top of Mary Pulley Hill. Photographs of this temple are plentiful. This piece of art is unique in the fact that the leaves had turned orange and then the snow fell early. This confluence of events makes for a unique image of this Latter-Day Saint Temple.